In this age of instant uploads and social media sharing, we realise that many of our customers wish to access and share their scan images quickly and efficiently via their mobile phones & laptops. 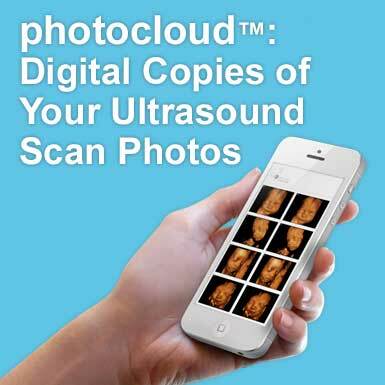 In order to give expectant parents both a physical keepsake and an easy-to-access digital copy of their scan images, we have decided to introduce a brand new photocloud™ service for First Encounters customers. This service allows you to access the scan images that come with your chosen package on your personal devices, enabling you to instantly view, download, and share your precious imagery. You can print and distribute your images from our photocloud™ however you like! You will be able to access your scan images via photocloud™ for up to one month after the date of your scan, and we try to upload your images to the photocloud™ within one hour of your scan finishing. This service is available with selected scan packages at both our Cardiff and Bristol clinics. Click here to browse our full range of scan packages, or if you've already had your scan with us - head over to the photocloud™ page and use your unique password to access your photos!